Bought this product. In my opinion it’s hard to set the machine. Once I figured it out I still have rediculous level of Ca? Finally unplugged it and dosed by hand until levels were core the. Will try again after I study how to set it correctly. I've been running it for about a year, and have had zero problems. It was easy to set up, and I am so happy with it I ordered another 4 channels to go with it. Purchased the BM-T01 in March of 2017. It was dead on arrival - I couldn't even set the clock. My guess is the clock on these things has a shelf life and they were made so long ago that sitting in a box for many years ruined it. 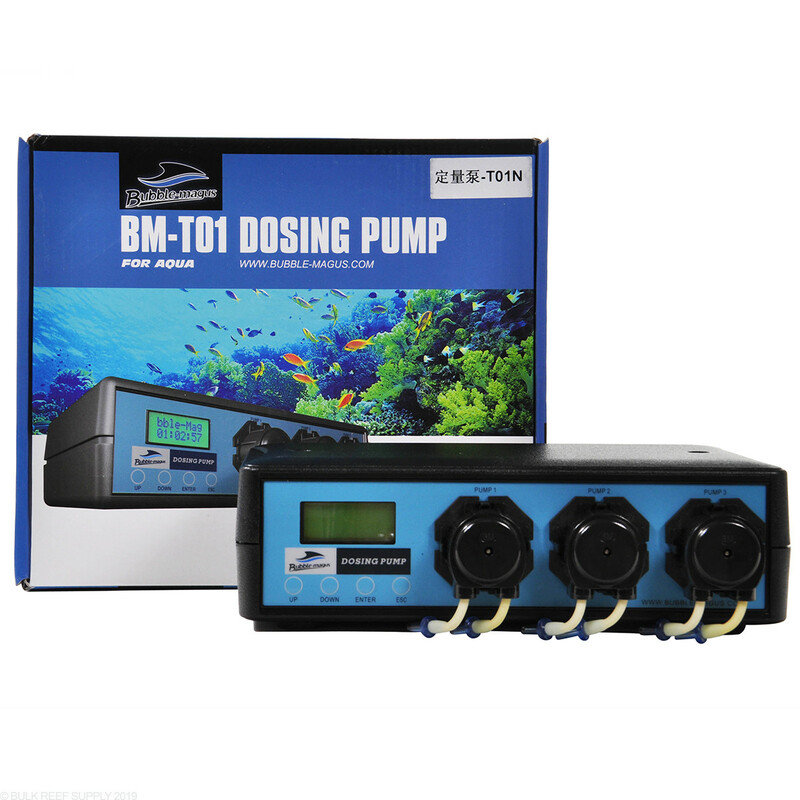 I dose Alk, Cal, and Trace elements with ease with this dosing pump. 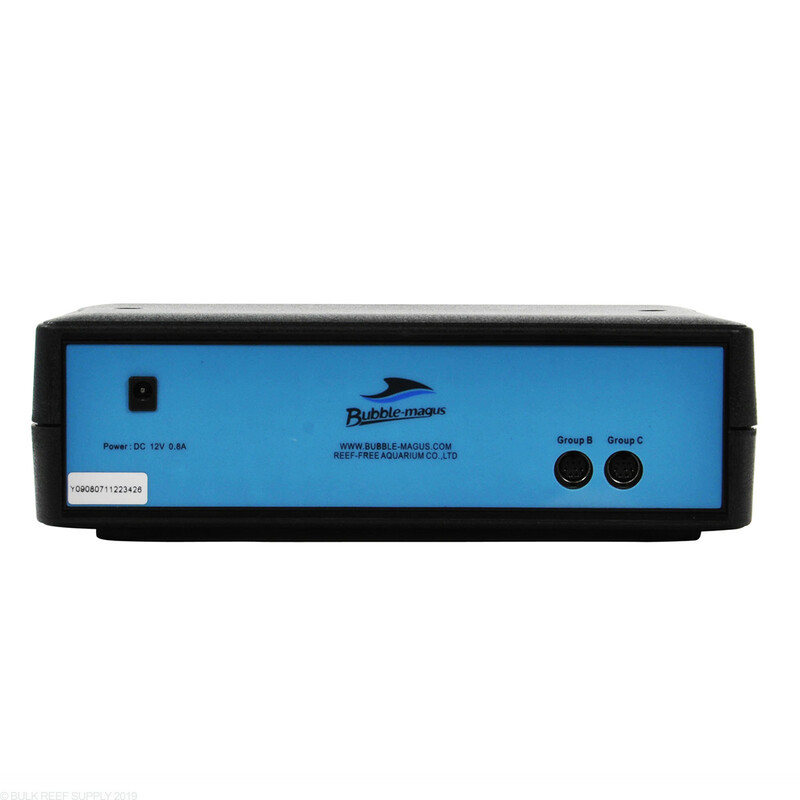 Easy to program and had no problems thus far with it. Using it for 7 months or more. I have used one of these for several years and had no problems. Have only had to replace the roller heads once. They are inexpensive and easy to replace. For dosing on all but the largest tanks I think this is a great option. This product broke after two months of use. The manufacturer made me pay the shipping costs to send it to them to repair under the warranty. It broke again one month after using it when they returned it. This is a cheap piece of crap. Do not waste your money on it. 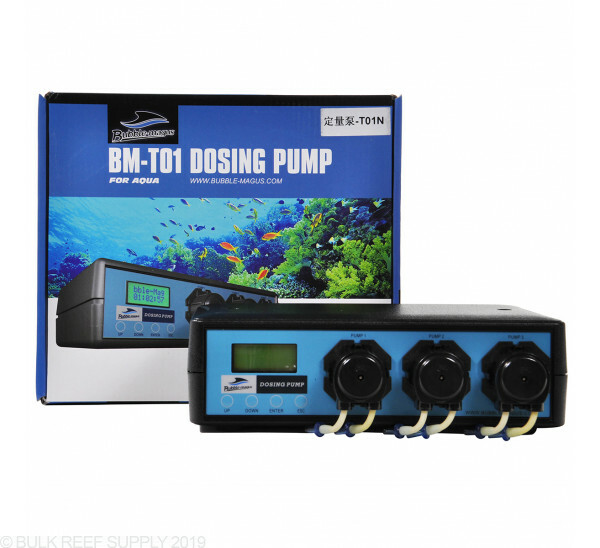 Have been using the BMT01 with BMT02 to supply trace elements to my tank, The unit setup is easy, just set the amount needed to be dosed and how many times you would like to dose it during 24h and the unit will divide the amount to smaller portions. Keep in mind that only one pump can be running at a time and this in return effect the dosing program as a 5 minutes minimum interval is a must. The only thing that I don’t like about the unit is that the internal clock will shift about 5m in a span of 30 day and this can interface with the other timers running in the tank. 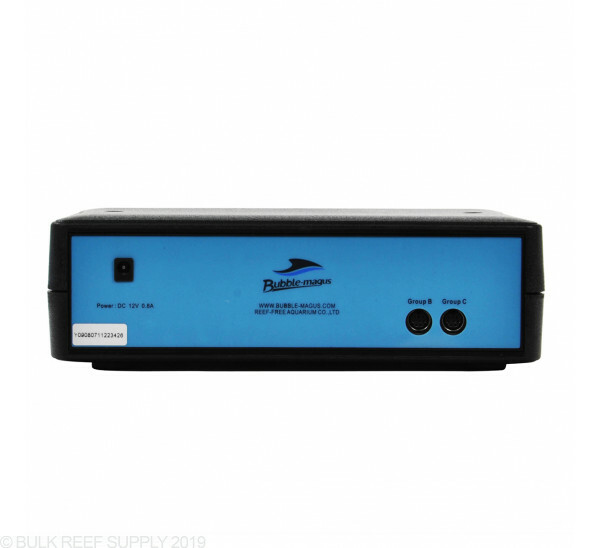 This is a good quality dosing pump. I only gave it 4 stars because i wish you can set when each pump can dose instead of the set times it has. But it works great and is super accurate. Bought this pump last August for my 180 build. Last night I finally went to set this up. Previously I did not have many corals in the tank. The time will not set. When I set the time the display only has a scrolling "Bubble Magnus" no time. When I unplug the unit the time shows but it is static. When I try to reset the clock it disappears again. I contacted BRS to see what can be done. The warranty is 1 year but I never touched the darn thing until now. I will change my review based on the response..
After 4 months my pumps 2 screws mounted though hosing into motor housing have unscrewed them self loose. Verydangerous for tank if not noticed. Dose this work with apex? This dosing pump is not Apex ready.